Pic Cosmologists are scratching their heads after data from the Hubble Space Telescope has shown that the universe is expanding between 5 and 9 per cent faster than first thought. 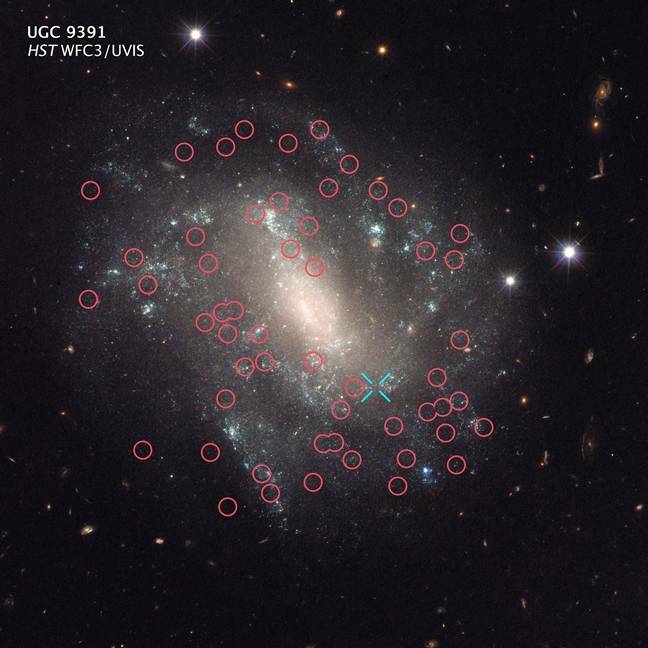 A team led by Nobel Laureate Adam Riess took measurements of 300 visible Type Ia supernovae spread among an assortment of galaxies, as well as around 2,400 Cepheid stars, which pulsate on easily visible wavelengths. These were then correlated against the stretching of light from receding galaxies to get the expansion figure. The Hubble constant, named after its discoverer American astronomer Edwin Hubble, is the rate at which objects in the universe expand over time. The new value is 66.53 (plus or minus 0.62) kilometers per second per megaparsec (3.26 million light-years). That means in 9.8 billion years the distance between cosmic objects will double. That figure is 5 per cent more than data from NASA's Wilkinson Microwave Anisotropy Probe (WMAP), and 9 per cent more than the readings from the now-defunct European Space Agency's Planck satellite mission. So – science being science – the quest is now on to find out why. The boffins have narrowed it down to three possibilities. Firstly, our calculation on the effects of dark energy could be wrong. Dark energy, which can't be detected on current instruments, is already causing the expansion of the universe and may have additional properties that theorists haven't accounted for. The second option is that in the early period after the Big Bang, a new kind of subatomic particle burst out travelling at just under the speed of light. This would have sped up the expansion of the early universe and would explain the discrepancies in current theory. "We know so little about the dark parts of the universe, it's important to measure how they push and pull on space over cosmic history," said Lucas Macri of Texas A&M University in College Station, a key collaborator on the study, published in The Astrophysical Journal.